Sony, never one to slouch when it comes to camera development, has just revealed an eye-watering 48-megapixel sensor that it says is ready to be crammed into a smartphone – let's say the Xperia XZ3, for the sake of argument. If the thought of storing such massive photos makes your hard drive droop, fret not: 5G is here just in time to literally back Sony up. Just when you thought the triple lens camera of the Huawei P20 Pro was the best thing out there, Sony has said it's new 48–megapixel sensor will put all others to shame. Yes, it made the Huawei P20 Pro sensor too – but it even wants to top itself. Until now there was a trade off that meant you had to pick between high resolution and better light sensitivity. This new Sony IMX586 stacked CMOS sensor apparently manages to give you both. At the same time Qualcomm has taken the wraps of its new 5G modems that will mean the latest generation of smartphones, like the Samsung Galaxy S10, should come with Wi-Fi-like speeds over networks. This should mean backing up those huge photo files, fast, won't be an issue. So how has Sony managed to achieve its super snapper? 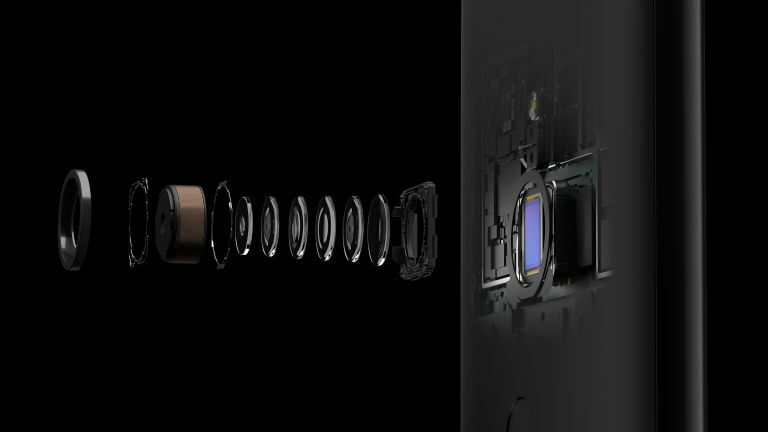 The new sensor can capture 48 megapixels at a phone-sized 0.8 μm, all crammed onto an 8.0 mm diagonal unit – which should mean poor low-light shots. But Sony has creatively come up with the idea it calls a Quad Bayer colour filter array. This Quad thingymabob basically crams four pixels into one so while the end result is a 12-megapixel shot, it'll be far better lit with an effective pixel pitch of 1.6 micrometres. To get an idea of what all that means, the Google Pixel 2 XL, which has exceptional low light shots, tops out at 1.4 microns. Which smartphone this sensor arrives in isn't clear but expect it to be paired with a 5G connection, ready for the networks switching on proper 5G support in 2019. Being Sony, this will likely get licensed out so it could appear in the next Samsung Galaxy S10 or perhaps the Huawei P30 Pro.